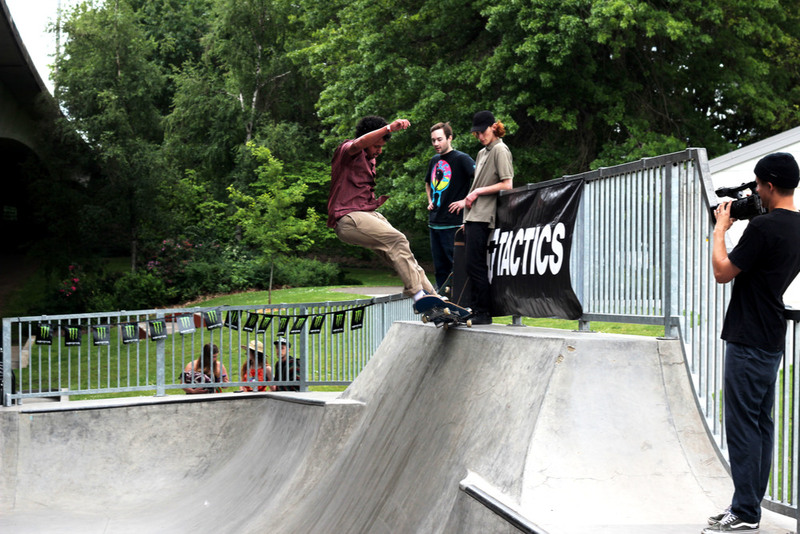 Members and homies of the CST team have been on trips to Eugene before, but this was Collegiate Skate Tour's first Official trip there and very first college contest in the Northwest! 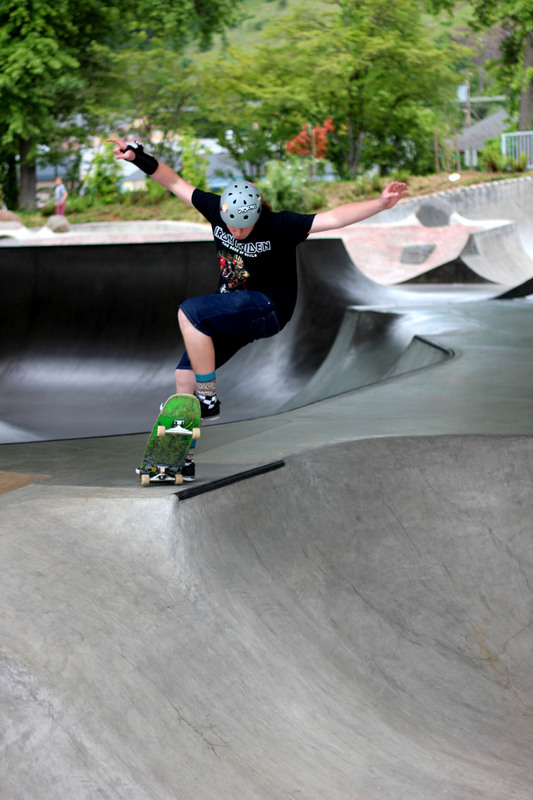 Eugene is a beautiful town in Oregon, about two hours south of Portland, with one of the best skateparks in the nation and a great public university in U of O.
Skaters showed up from local Lane Community College and the well-known University of Oregon. 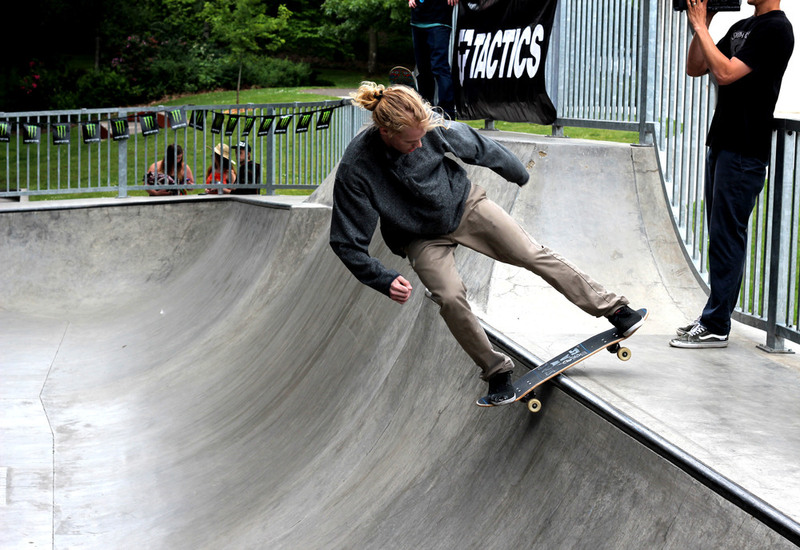 Tactics held it down, as always, being the local core shop and constant source for skateboarding in Eugene. Huge shout out to their team and all their help! We had food trucks - The Piglet and Izzy G - and Monster Energy for the crowd, as well as great raffles for the public! 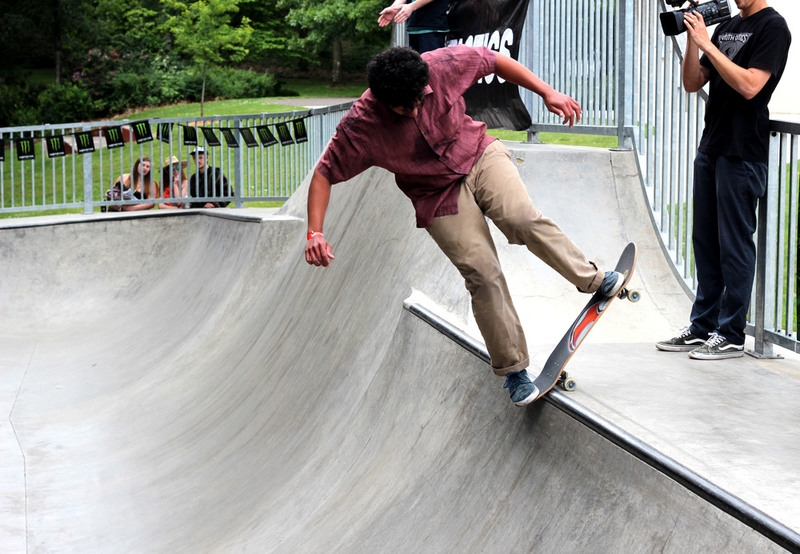 Some very lucky people walked away with a Shenanigans Boards deck signed by Hart Lines finalists, money to Off The Waffle and Track Town Pizza, and product from Bones Wheels, Monster Energy, adidas Skateboarding and more. 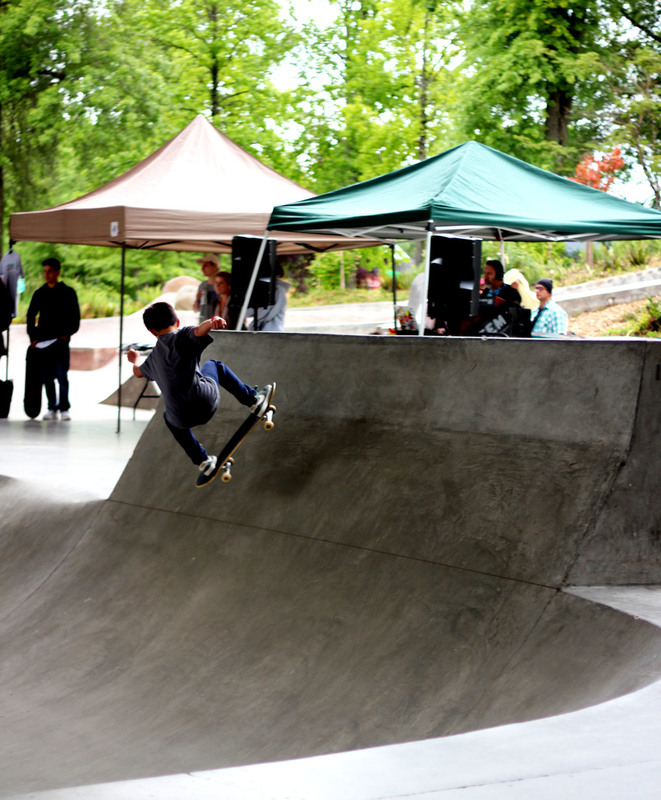 We also held an open Best Trick Jam and a product toss at the end of the day. 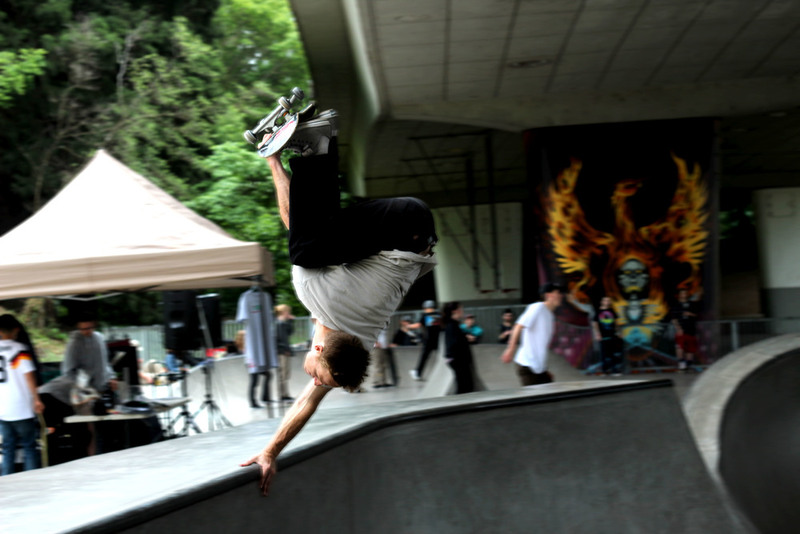 Special shout to Eugene, Cascade and Coast Sports Commission for sponsoring and helping get the word out around the local non-skating community to help spread our National mission! Thanks to Level Up Arcade for hosting the after-party and to Tactics to comping some drink tickets for competitors. Props to Jordan DeMoss (@jordand3mo55) for shooting and editing this video! Thanks to Rita Herbstman (@rherbstman) for taking the photos!